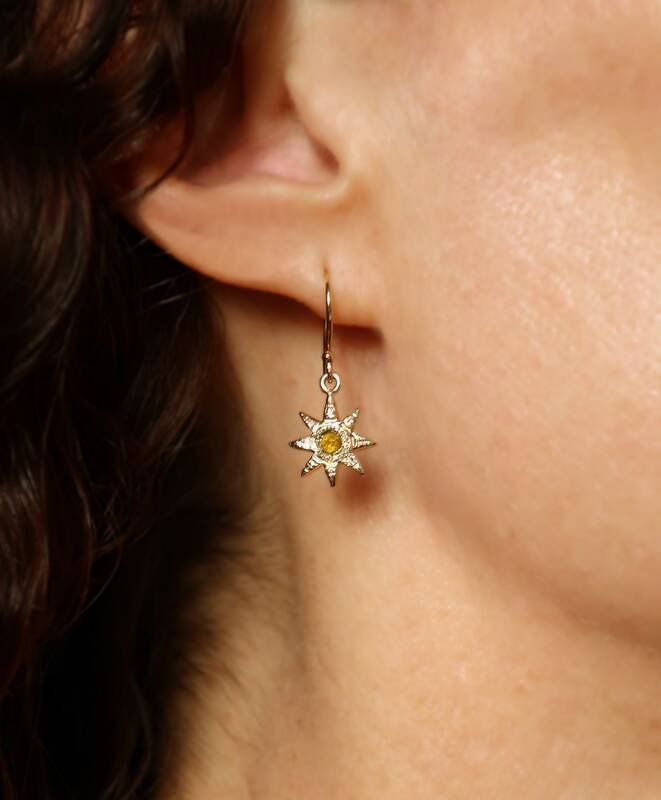 2 magical 10k yellow gold stars set with genuine 3.1mm rose cut yellow diamonds are hung from handmade 10k yellow gold ear wires. 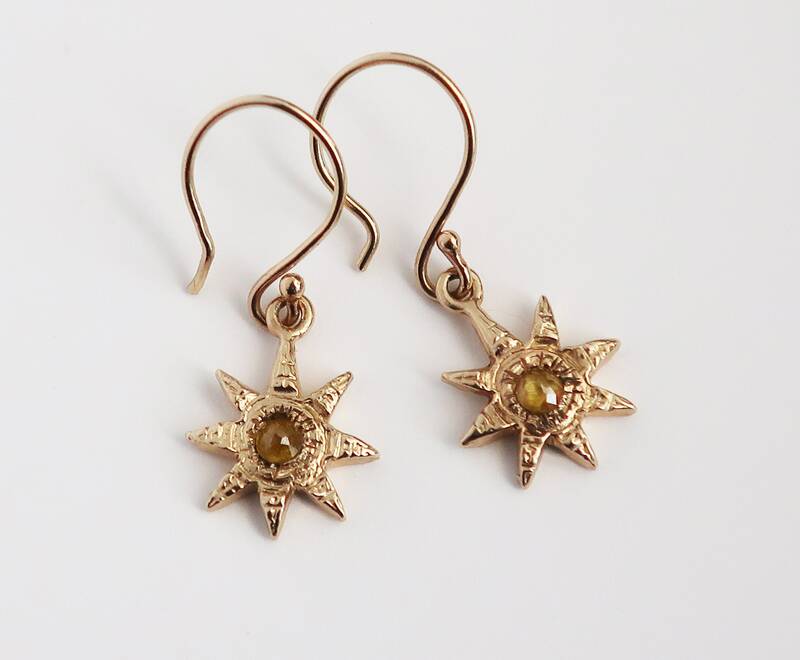 I love these earrings! 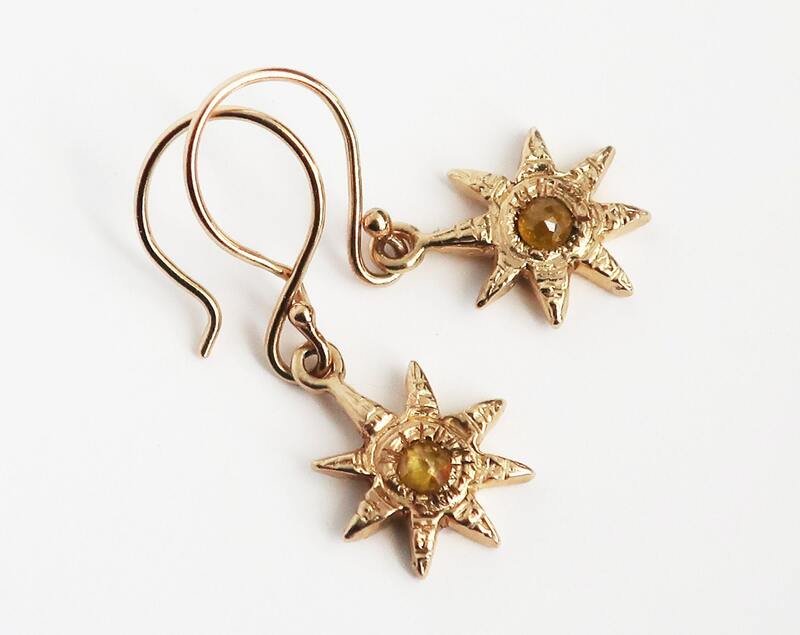 When I sculpted them I was thinking of the sun, but once I finished them they remind me more of ancient twinkling stars, which I like just fine. After all, our sun is a star! I'll leave it to you to decide which you think they most resemble! 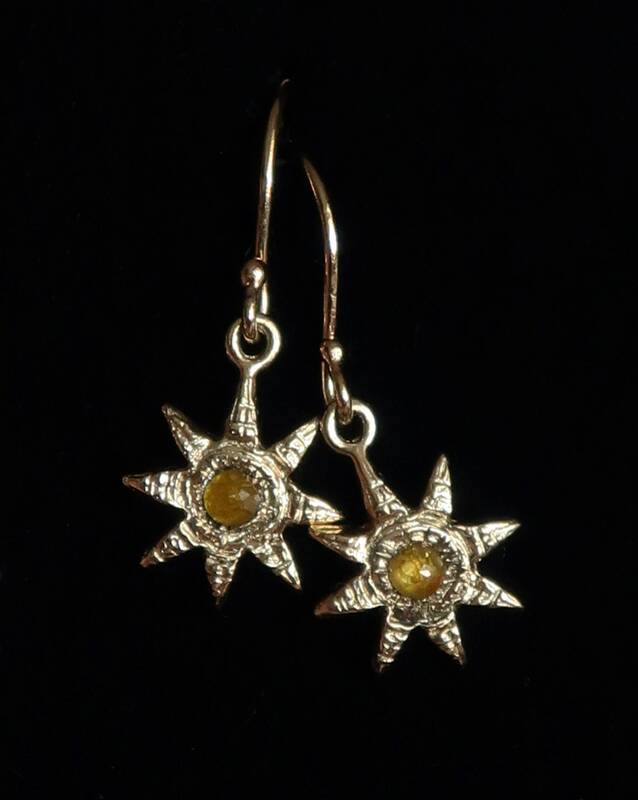 Listing price is for one pair of earrings (2 earrings). These 2 diamonds are one of a kind, but please feel free to contact me for a quote and timing if you would like me to make you a pair with lighter yellow or off-white rose cut diamonds.